* Opening event! Roger McGough, supported by LiTTLe MaCHiNe: 8.00-10.00pm, at Launceston Town Hall, Western St. For more information, and to book, please CLICK HERE . This event is kindly sponsored by WBW Solicitors — CLICK HERE to visit their website. 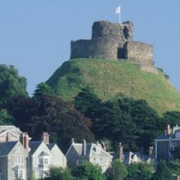 * Guided historic Launceston town walk (‘with added Causley!’), with Rob Tremain: 10.30am-12 noon, leaving from Launceston Castle main gate, on Western Road. For more information, and to book, please CLICK HERE . * Word Factory — Short Story Club (writing workshop), with Cathy Galvin and Emma Timpany: 10.30am-12.30pm, at Jericho’s Kitchen, Liberty House, Westgate Steet. For more information, and to book, please CLICK HERE . For a free advance copy of the story to be used in the workshop, please e-mail: cathy@thewordfactory.tv . * Print-making workshop, with Karen Howse: 2.00-4.30pm at the Gateway Centre (ground floor), Madford Lane. For more information, and to book, please CLICK HERE . * Word Factory — ‘The Never-ending Idea Machine’, a writing masterclass with Adam Marek: 2.00-5.00pm at Jericho’s Kitchen, Liberty House, Westgate Street. For more information, and to book, please CLICK HERE . * The Tregadillet Songbirds in concert — a recital from a local amateur choir: 2.30-3.15pm at St. Mary’s Church, Northgate. For more information (no booking necessary), please CLICK HERE . * ‘And why have you brought me children’s toys?’ — readings, and reflections on Causley’s poetry, by Matt Bryden: 5.00-6.00pm at Cyprus Well, Ridgegrove Hill. For more information, and to book, please CLICK HERE . * Word Factory — ‘The Cornish Renaissance’ literary salon: 6.00-8.00pm, at Jericho’s Kitchen, Liberty House, Westgate Street. For more information, and to book, please CLICK HERE . * Film night — ‘I am the Song’ Access Theatre’s short, followed by ‘My Cousin Rachel’ with Rachel Weisz: 7.00-7.30, and 8.00-10.00pm, at Launceston Town Hall, Western Road. For more information, and to book, please CLICK HERE . * ‘Polyphon’ — multi-instrumental contemporary folk musician and singer Luke Daniels in concert: 8.00-10.00pm at No. 8, Westgate Street. For more information, and to book, please CLICK HERE . * Food and Music Fest, with many stalls (plus entertainment): 11.00am-6.00pm, in the Town Square. For more information (no booking necessary), please CLICK HERE . * ‘Pop in for Poetry’, ‘Lego with Causley’ and the Cornish Language — drop-in sessions for children, with Annie Fisher: 10.00am-noon, at Launceston Library, Bounsalls Lane. For more information, please CLICK HERE . * Guided Causley landmarks and poems walk, with Jane Nancarrow: 10.30am-12 noon, leaving from Eagle House Hotel entrance on Castle Street. For more information, and to book, please CLICK HERE . * ‘Surfing the Crowd’ — a reading, and a talk on publishing through crowd-funding, by Lulu Allison: 12 noon-1.00pm, at Launceston Town Hall (Guildhall). For more information, and to book, please CLICK HERE . * ‘Jacob Grigg, Cornwall’s First Missionary’ — a talk by Stephen Dray: 12.15-1.15pm, at the Christian Bookshop, Westgate Street. For more information, please CLICK HERE . * ‘Talking Town’ — Rosemary Walters on Causley’s poetry about Launceston: 1.30-2.30pm, at Launceston Town Hall (Guildhall), Western Street. For more information, and to book, please CLICK HERE . * ‘Diggory Piper, the Worst Pirate Ever!’ — puppet-show/puppet workshop by Little Trebiggan: 2.00-3.00pm and 3.30-4.30pm, at Launceston Town Hall, Western Street. For more information, and to book, please CLICK HERE . * Lisa Takahashi’s linocut block-making workshop, with a Causley theme: 2.00-5.00pm [n.b. : NOT 4.00pm, as shown in the Festival brochure ], at the Gateway Centre, Madford Lane. For more information, and to book, please CLICK HERE . 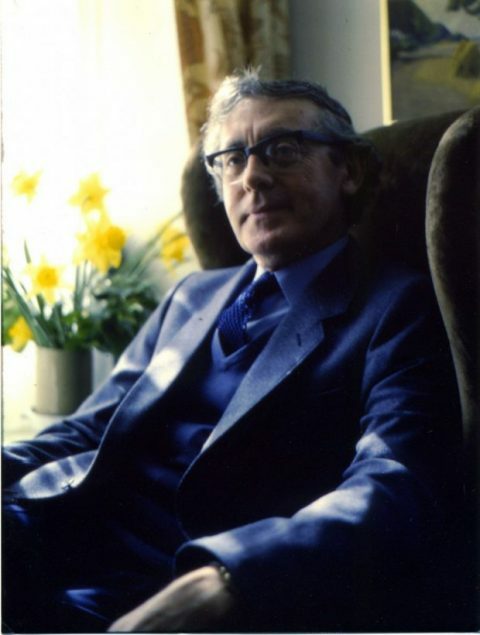 * Malcolm and Sylvia Wright — ‘Charles Causley: a life through his poems’ (an illustrated talk): 3.00-4.00pm, at Launceston Town Hall (Guildhall), Western Street. For more information, and to book, please CLICK HERE . * Martyn Oates, BBC South West Political Editor — a talk, questions, a drink (included! ), and a chat: 5.30-6.30pm, at Launceston Town Hall (Guildhall), Western Street. For more information, and to book, please CLICK HERE . * Mike O’Connor and Barbara Griggs — music inspired by Charles Causley and his poems: 7.00-8.00pm, at Launceston Town Hall, Western Street. For more information, and to book, please CLICK HERE . * Sweet n’ Sour — comedy improvisation quartet: 8.30-10.30pm, at Launceston Town Hall, Western Street. For more information, and to book, please CLICK HERE . * Jane Nancarrow and Karen Howse — reading/talk on Causley (Jane N), and showing/talk about work as Artist in Residence (Karen H): 10.30am-12 noon, at Cyprus Well, Ridgegrove Hill. For more information, and to book, CLICK HERE . * Miriam Darlington — a reading and talk, based on her book ‘Owl Sense’ and her nature studies and writings: 12.30-1.30pm, at Eagle House Hotel, Castle Street. For more information, and to book, CLICK HERE . * ‘Edge of the Depths’ — a poetry workshop with Anne-Marie Fyfe (linked to the salon at 6.00pm): 2.00-5.00pm, at Eagle House Hotel, Castle Street. For more information, and to book, CLICK HERE . * ‘The Voyage Out’ — musical salon on writers/the sea, with Anne-Marie Fyfe and Cahal Dallat (linked to the workshop at 2.00pm): 6.00-7.30pm, at Eagle House Hotel, Castle Street. For more information, and to book, CLICK HERE . * Neil Maya Jazz — a jazz evening based on the quartet’s own compositions plus the work of Dave Brubeck: 8.00-10.00pm, at No. 8, Westgate St. For more information, and to book, CLICK HERE . * Painting, sculpture, jewellery and ceramics by Gwynngala art group — Thurs. 31 May 2-9pm and Fri.-Sat. 1-2 June 10.00am-9.00pm, Otho Peter Room, Launceston Town Hall, Western Rd. For more information, please CLICK HERE . * Art exhibition, by Richard Sharland — ‘A Bigger Picture’: open from 1-30 June, Tuesdays through Fridays only, 10.00am-5.00pm, at the Terre Verte Gallery, Altarnun. For more information, please CLICK HERE . * ‘I am the Song’ — exhibition of Bex Bourne’s cover art designs for Jim Causley’s CD: Fri. 1- Sun. 3 June, 10-5pm (Fri. to 7pm), Southgate Arch, Southgate St. (+ two ‘Meet the Artist’ sessions). For more information, please CLICK HERE .